My older brother Thaxter, he made my life a living nightmare as a child, which is why I ran away from home at such a young age. Fortunately, there is little chance of ever meeting him again. Sasha’s second novel An Unsuitable Match, was a four time ARRA finalist in 2015. 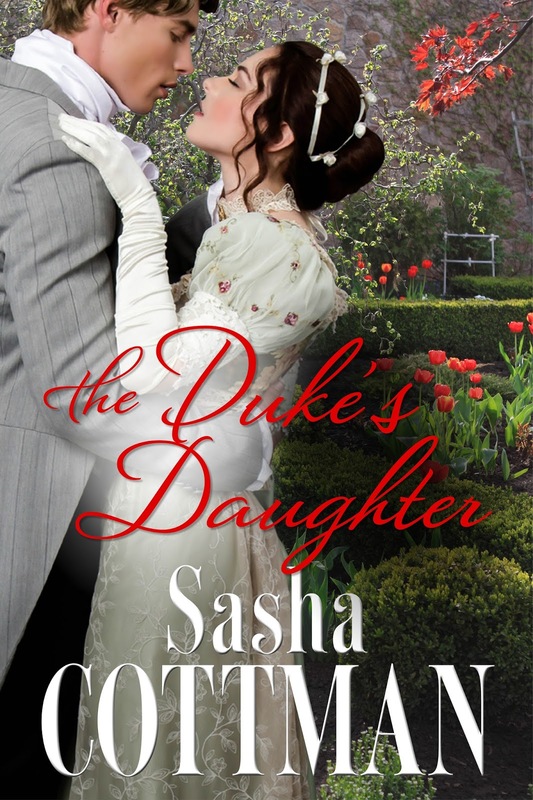 The third book in the Duke of Strathmore series, The Duke’s Daughter, was released in August 2015. Sasha divides her time between the city of Melbourne, Australia and her family beach retreat at Torquay. She and her family have discovered all the places the family cat disappears to whenever it realises they are about to head home on a Sunday night. Finding time with a full time career is always a challenge. This book actually wrote much of itself (I know that sounds odd, but I am a plotter and this book had less planning than any of my other books). Avery Fox was a character that demanded he be written. I loved exploring what it must be like to live in a world where no one has ever loved you and then meet someone capable of unconditional acceptance and love. This is book 3 in my Duke of Strathmore series. I am currently writing book 4. Fantasy fiction with all its world building would be brilliant. I spend my days working with facts and numbers while managing 40 staff of a listed company before going home to write about the lives and loves of imaginary people who live in England 200 years in the past. If you want a happily ever after story, a laugh and the warmth of reading about characters and the family who love them, then my books are for you. Welcome Sasha. :) Love this cover!! Thanks Kayelle, I got lucky with this cover. I'm reading this right now and loving it! Thanks for a great interview. Hi Louise, hope you are enjoying the book. I am working on the next book in the series.